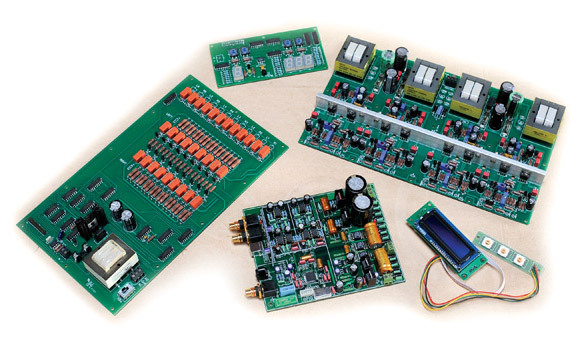 The B2B-2 is a fully balanced all-FET preamp with a built-in XMOS digital-to-analog converter. 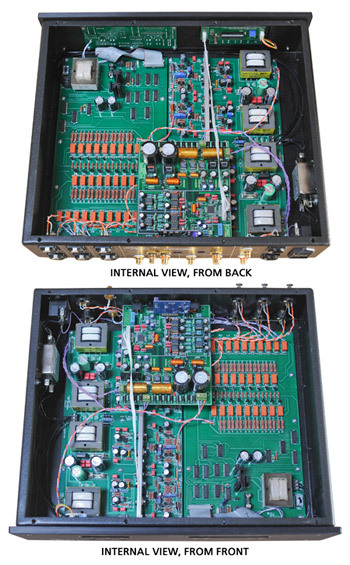 The line section of the preamp features an elegantly simplified version of the fully symmetrical topology featured in the PBN Olympia amplifier series – models that have gained worldwide press and consumer recognition as some of the best sounding amplifiers available, at any price. Our “Comb Ground” system is fully implemented as well. The B2B-2 features three balanced inputs, two RCA inputs and a balanced internal input (six) that, as an assemblage, accommodates the built-in ESS9018 Sabre DAC, brilliantly integrated as a fully-balanced signal inside the B2B-2. 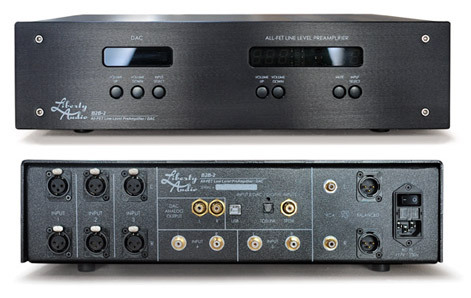 The DAC features USB (24/192), SPDIF and TosLink inputs, all controllable from the front panel. The analog volume control, mute and analog input selection are independently controllable from either the front panel or the robust all-aluminum handset. The volume control features 252 discrete levels for precisely nuanced sound levels. A final detail… the B2B-2 has an amazing 12dB of gain in the line section.